Hi all and welcome back to day six of #nailmas! Today's post is changing gears a little bit while we move away from nail art temporarily. One of the most frequent questions I get this time of year is "how do you keep from breaking a nail?" There really isn't a perfect solution to this issue but today we're going to explore Zoya Naked Manicure as one potential option. 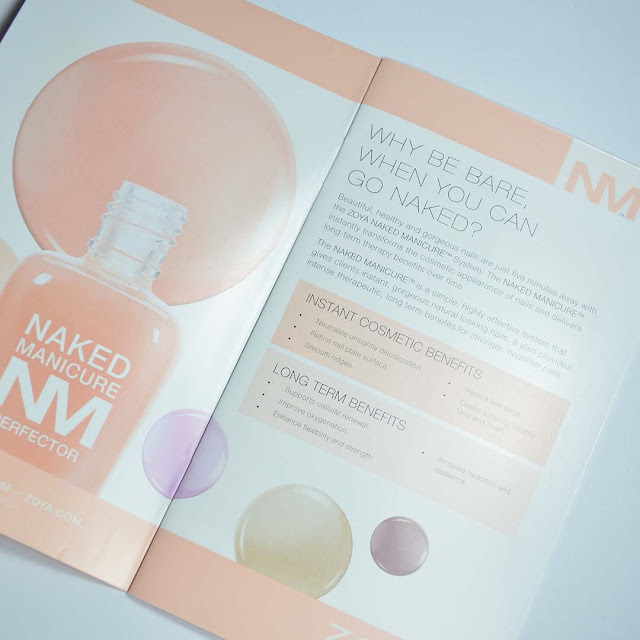 Zoya Naked Manicure is a color correcting system that also provides a strengthening aspect to your nail routine. One of the best things you can do to protect your nails during harsh weather it to make sure they are always polished, which is why Zoya Naked Manicure is a great option. I know that colorful nail polish isn't always an option for everyone, so having a neutral toned strengthening system is a nice alternative. I'm going to walk you through the basics of the Naked Manicure system, and how I use it, but please know that it's entirely customizable. This cute little set comes with a helpful booklet that walks you through the full system and how to customize the color perfectors for the best color correction. After reviewing the booklet I discovered that my idea correction started with one coat of Naked Base. Once the coat of Naked Base was dry the diagram instructed me to use the Lavender Perfector as my second step. If you compare this image to the image of Naked Base alone you'll already start to see the color correction. Lavender is great for correcting yellow and it's quite an apparent change between the two photos. After using one coat of the Lavender Perfector the next step was to add the Pink Perfector. If you compare this to the previous photo featuring the Lavender Perfector alone you'll notice that the Pink Perfector layer gives my nails more of a mellowed, healthy pink glow. 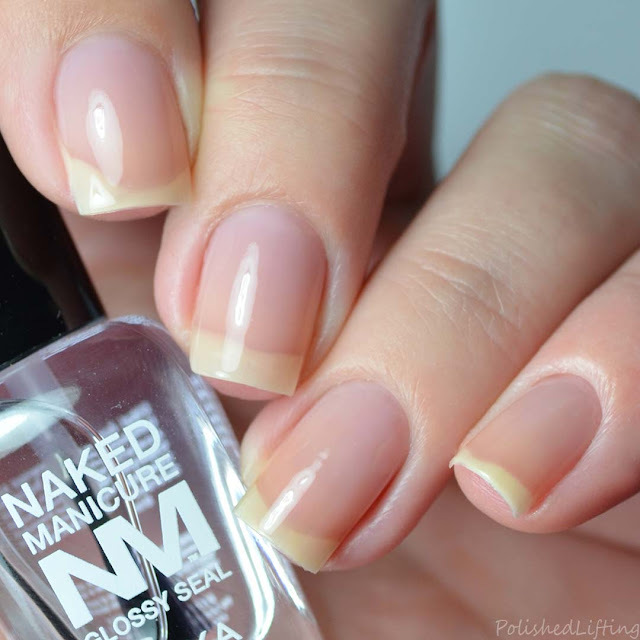 The final step of the Naked Manicure system is the Glossy Seal. I like this system as an alternative to wearing colored nail polish or even nail art. Sometimes I don't have time for an elaborate manicure, but this gives me options to keep my nails healthy and (ideally) intact. The Zoya Naked Manicure Quad Gift Set is currently available on their website. This gift set retails for $24. If you enjoyed this post you might like Zoya All Snuggled Up Nail Polish Quad and Zoya Jubilee Winter 2018 Collection Pt 2.